Sit back and relax. Enjoy our delicious food and wine surrounded by the latest in local art. Our two floors will ensure you will be able to relax and enjoy your time with us in comfort. We have regular food and wine specials so check in-store for updates. Explore our wines by the glass and new food menu. 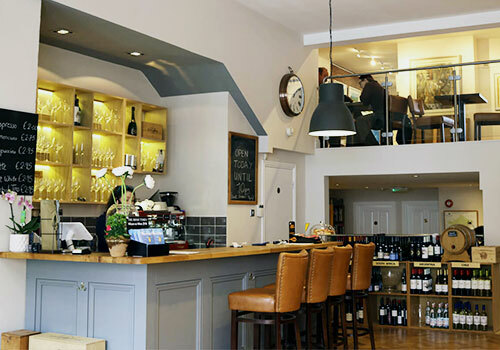 We’ve been providing wine in Dalkey since 1999. 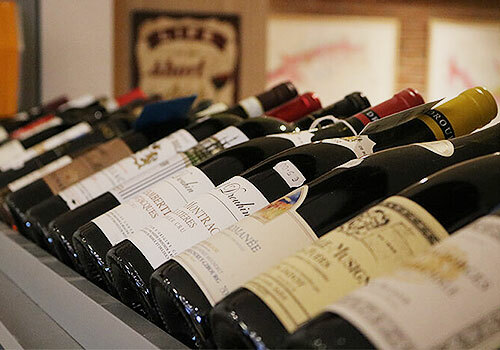 Whether you’re looking for a gift or want to discover something new, our Dalkey wine shop has everything you need. Simply have a look around or talk to us – our staff are always on hand to help and give recommendations. Enjoy fine food & fine wine together in our newly redesigned balcony on the second floor. We have a private function area for groups available also. Please call for table bookings and private area enquiries. Keep up to date with all the latest wine news, advice and special events and occasion hosted in our beautiful new store. with Richie Buckley & Drazen Derek.